Normalize. css is a modern, HTML5-ready alternative to CSS resets. 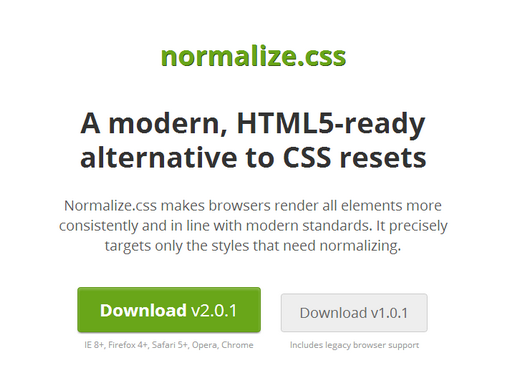 Normalize.css makes browsers render all elements more consistently and in line with modern standards. It precisely targets only the styles that need normalizing. Normalize. css is a small CSS file that provides better cross-browser consistency in the default styling of HTML elements. It’s a modern, HTML5-ready, alternative to the traditional CSS reset.